» Help us celebrate June Dairy Month! Help us celebrate June Dairy Month! June is National Dairy Month and it’s time to celebrate with ice cream! 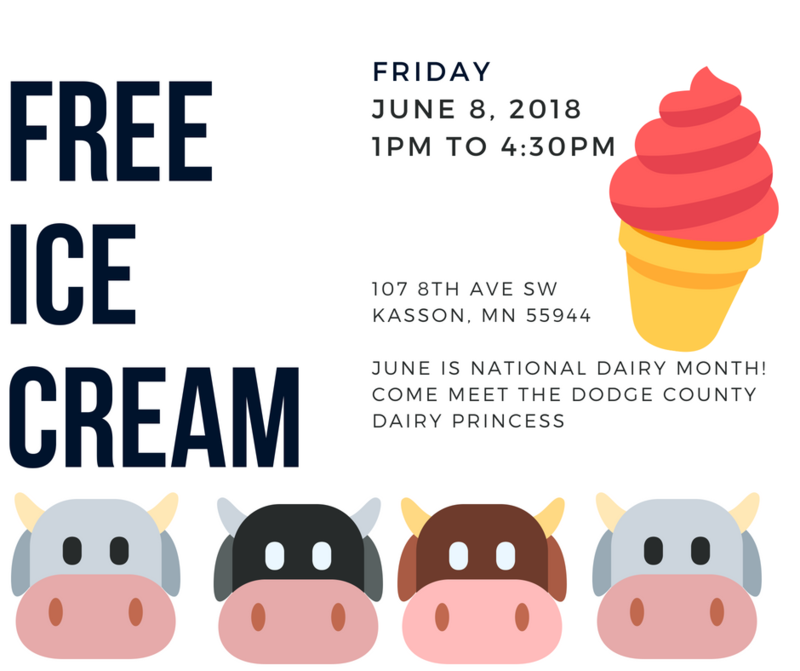 Come join us at the Kasson Feed Store and enjoy some ice cream on Friday, June 8 from 1pm to 4:30 pm.